Some time in March 2010 ,. the Postal and Telecommunications Regulatory Authority of Zimbabwe (Potraz) made an announcement that it had committed US$24 million from the Universal Services Fund (USF) for implementing eight projects in the rural areas. No specifics as to which telecoms operators had been tasked to carry out the rural network reach programs then. As a result it has always been a challenge to get ICT services in remote and rural areas not only in Zimbabwe but the world all over. Studies that have been conducted worldwide have identified that ICT ( Information Communications Technology) is an important tool for the economic development and self-sufficiency in any society. Despite these potential benefits it is apparent that a range of problems need to be addressed before this opportunity be realized. Most of these rural communities are geographically isolated and economically disadvantaged, and have generally not attracted the interest of commercial service providers who are in business basically to make a profit . No rocket science and understandably so . It is NOT easy for telcos operating in Zimbabwe to cover every blade of the land with copper ,. fibre and or wireless. This would be expecting too much in an economic environment having challenges. Working solutions are needed to bring digital economy to rural areas. This calls for more than casual e-tech talk. This involves use of appropriate technologies in areas where there will work and help bridge the digital divide. In the game of chess there is what is called twin forking where you pin two strong pieces on the board by one move. This is what this article is about. Addressing Africa's two hindrances to bridge the digital divide . This starts with addressing electricity supply and last mile connectivity issues .Solar energy for provide electricity and wireless technology to provide connectivity. Easier said than done, but NOT impossible. Solar panels which can function on minimal natural light, enables electrical gadgets to be installed in remote areas where it is impractical to run power cables to the unit. If insufficient light is available the device can be backed up by a battery. Solar panels convert photons of light into electrical current by a process known as the "photovoltaic effect". This essentially means that solar energy illuminating is causing electrons in a solar panel to become excited. These electrons are then directed into an electric current by a built-in electromagnetic field. Africa receives a lot of sunshine because most countries are not too far from the equator. A standard way to measure the amount of sunshine received in an area is called - insolation. This is expressed as kilowatt hours per square meter per day. No rocket science involved here southern Africa has higher insolation values than Canada! Deployment of these systems is NOT too complex if done by trained personal. Deployment involves system sizing which basically includes estimating the power consumption by the system commonly referred to as load. Batteries are used to store electrical energy to power the system at night or during times when insolation is low. Most end user wireless equipment have pretty low power consumption levels but transmitters used by the service provider will need larger solar systems which means digging deeper into the pocket - one reason that scares most people way from deploying solar powered systems. The term wireless is pretty broad in the true sense of the word. On the streets of Bulawayo or Harare this means a cellphone to the average citizen. Accurate in a sense . I am not offering a wireless tutorial here , but tech savvy readers must realize and appreciate that the bulk of the readers are not as tech savvy and as such a clearer explanation of what wireless technology is , will go a long way into unlocking what its full potential is. Wireless technology revolves around the ability to send electromagnetic signals (radio waves) over the air using a transmitter with a receiver on the other end. A simple example would be the traditional Supersonic or WRS radio set where you tune into radio station like Star FM .This is a one way radio system , where the user ONLY receives and does NOT talk back. The same technology is used for cellphones with the difference that the user can talk back to the sender. This is facilitated by use of base stations that Cellphone operators like Africom , Econet ,NetOne or Telecel deploy to send calls to you. DSTV also uses wireless technology. And so what is the difference? The difference lies in what frequencies a network operator is allowed to transmit and receive signals. The way the GSM operators operate would be the same way that you can wind your FM/AM dial to tune in to your favorite radio station at a technical and circuitry level. Wireless technologies are characterized by their frequency range, their coverage area, signal loss, and transmission power. But suffice to say here that the different wireless technologies include, but NOT limited to, GSM, Wi-Fi, WiMax, Satellite, Blue Tooth etc. The unique position with wireless technologies lies in their ability of NOT wanting to use copper cables to send signals. But each country must regulate who uses which frequency otherwise there will be congestion caused by interference and it will be chaotic. This is one of the roles of a telecoms regulator to manage frequency spectrum – like POTRAZ in the Zimbabwe scenario. Otherwise if there is no control you shouldn't be surprised to hear some ZRP messages on your cellphone assuming your Nokia receiver can receive the signals. This is a viable avenue of bridging the digital divide in RURAL areas in a bid to redress the knowledge and information gap between the urban and rural populations amongst other things. No need to explain and expand the clear relationship that exists between information technology and development of a country. Access to information and communication on the fly , bridges the digital divide that generally engulfs the bulk of African countries. The more people are connected to the global village the more information access a community or business has. Solar and wireless technologies share a very unique thing. They both bring something to a location where it would have been otherwise impossible to. Solar brings power and wireless brings data. So the combination of these produces something that everyone wants but can't connect the dots – bringing internet and voice to remote location using solar energy. Bear in mind that the batteries can function for several days without sunlight. I used tto think this was common sense. Solar Powered wireless access uses low wattage transmitters and receivers to send and receive radio signals regardless of frequencies involved. Back haul systems to connect to main switches also use solar powered radio with up to 100 km range at 32Mb/s with line of site before repeating. 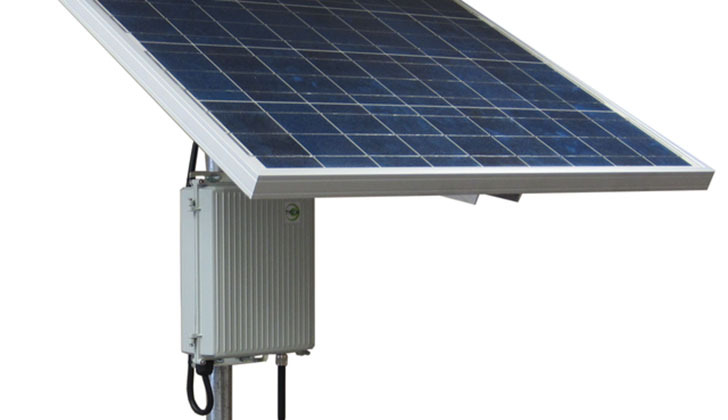 Solar Wireless Access Nodes presently available have enough battery capacity to run for several days without significant sunlight, and are fully remote monitored as long as there is back haul to data network! NeOne already has deployed a solar powered base station because of intermittent ZESA outages. Naturally most people dismiss solar powered initiatives as very expensive because what they fail to realize is that once installed the system pays itself as long as the sun shines! But once deployed there is not much maintenance to be done on sun light! And if there is no sunshine its likely that there is wind and hence windmills. For organizations in areas where cable access is either expensive or not possible there is VSAT – satellite dishes that bring internet .Yes Telone and other providers do have 74cm dishes just to do that. So it no longer matters where you are ,. as long as you can see the sky you can get telephone services and data services . The two most basic services that technology can deliver in remote areas are a dial tone and email access.These two should constitute a basic need for any nation that claims to be serious about any form of development. Availing solar powered phone and internet centers at business centers is one direct way of availing basic communication means to the remotest part of the country not covered by any GSM signal. This way even the remotest farmer in Wedza can send an email to a fertilizer supplier in Kwekwe for prices. The phone and internet center approach spreads the cost of ownership over a larger group of people.Due to remote location difficult terrain, hostile environments and dispersed population, laying of copper or fiber optics is not cost effective solution to provide connectivity. As such there is no one single approach that will achieve the objective of bridging the digital divide. But an array of approaches using different technologies have to be invoked based on conditions local to the area. For instance solar powered equipment will fare better in Lupane than Nyanga. These are facts relevant to a specific geographic area. This is not a one size fits all solution.A thorough and detailed site survey is needed to establish if a particular technology will work for a certain community or not. The site survey must collect relevant data like weather patterns, temperature extremes, elevation, wind speeds, security, distance from interconnection, population density etc. Use of solar powered wireless equipment addresses two problems inherent in most developing countries - lack of reliable electricity (ZESA) and cost of laying copper. Solutions that can be solar powered remove power related obstacles in rolling out basic telephone services and even internet. This approach provides a vehicle to implement say tele-medicine and solar powered irrigation in the agricultural sector. Ay area you can think of is a candidate of this technology services include distance learning and mass education programs. This means that the local rural clinic, local police, school, shops have access to a dial tone and email within a reasonable walking distance. This means teachers based in remote areas are able to access resources that can aid their curriculum. This means that health workers can disseminate HIV/AIDs info at the click of a mouse. I thought that this was common sense ! But I could be wrong. have access to an email address ! Having phone and internet centers at the community centers and even growth points , will mean that not everyone in that area needs to buy his or her own computer to access basic communication services but can use the public access system. This eliminates the excuse of computer cost being a major obstacle to development by default. Lack of access to information contributes heavily to an extent similar to the perennial food shortages to a country that has NOT been experiencing any drought because of lack of information. Lack of information is directly proportional to poverty levels. The Bible says " .. people perish because of lack of knowledge …". I will not expand on this self explanatory verse from the book of Hosea. Think of a telecom center as a setup with phone , e-mail and internet services. This model is pretty common in urban setups. And this model could be used for remote centers and even some urban centers whose electricity supply is more often off than on. As such the telecom center will have 3 distinct elements phone center , internet center and the control system. This test system is for 8 phones and 8 workstations. ·Wireless module - this could be CDMA or WiFi or GSM depending on what wireless technology is available. ·Phone devices – these are the handsets that will be plugged into the witch on the local network. ·Metering units – these could either be stand alone devices or incorporated within the telephony devices to regulate usage. ·Mini PCs – these are fully functional computer systems that consume less electricity but provide enough processor speed and capacity to be used for tasks like word processing and internet browsing and printing. ·LCD monitors – these have a lower power consumption rates. ·Switch – this is in the form of a PoE(Power over Ethernet) switch in which the phones can be plugged in directly with no separate power source as there are powered inline by the switch. ·Accessories – ethernet cables and power strips . ·Software – free tried and tested linux operating system like Ubuntu. Basically this is the logical term for the systems that bring and or enable services to the end users stations namely the telephone center and the internet center. · Internet server – this is a Pentium 4 computer with at least 2G of memory running FREE open source Ubuntu Linux operating system. In short this system acts as the intermediary between the end users (stations) on one side and the internet and satellite dish on the other hand. ·Telephony server – this is the call routing and call processing system that literally performs call origination and termination and all transcoding functions where audio signals have to be converted for GSM or landline systems. Typically this system is a dual core Pentium 4 kicking on at least 3 G memory. · VSAT system – this is a solar powered satellite dish maybe 1.2m wide with 1.5Mb/s down and 384 kps up and again its size is determined by the size of the center. The VSAT option is the wireless option if there is no GSM or WiMax alternative in that area. I know someone out there is about to point out that the bandwidth requirements for both voice and data might not be enough , well VSAT and VoIP technologies have leap frogged with time. Five years ago when I started thinking of this project Facebook was not so popular then .But today it's a different story. My point is that what you know NOT today could be a hit tomorrow. Present satellite systems do carry voice at lower bandwidth capacities than ever imagined possible – yes at 4kb/s. GSM uses 13 kb/s. VSAT systems have an option for CIR ( committed information rate) which literally guarantees a minimum bandwidth allocation for the end user – the community center.Of course CIR means a little bit extra dollars. ·Solar system – this is an array of solar panels , chargers and batteries that are installed and sized according to the expected load the deployment. This is measured in KWh (kilo watt hours). This depends on the sunlight and on the size of the panels surface area. Batteries are sized in such a way that the system can function even during days of low sunlight. In which case wind energy can be used by use of windmills in areas with low light. Usually areas that have low sunshine and more cloud cover will have higher wind speeds to make sense of considering windmills. This is how it is setup. Lets say we want to have 4 telephones in our remote site in Gokwe to enable farmers to sell their cotton online and be able to make and receive calls locally and internationally. 4 VoIP devices are installed to provide the dialing tone on site. The actual phones won't need any electricity as they are powered inline by the network switch. The devices will get their dial tone from the telephone server located locally on the same local are network. But the local switch is linked to other switches nationwide over IP and can communicate with the larger providers like Econet and NetOne. This is using the VSAT option where the GSM is unavailable. But for other settings a WiMax back haul is used to connect directly to Econet.This could either use LOS (Line of sight) or NLOS ( non Line of sight) to propagate the signals.LOS refers to a direct point to point line between a transmitter and a receiver with NO obstruction in between such as trees, mountains or buildings. WiMax which is another wireless technology has the capability of good connectivity for up to 50 km. Calls made within the VoIP network from one farmer in Gokwe to another one in Wedza are almost free. Because the phone call path does NOT leave the private network based on open standard and open source technologies. Naturally established telecom operators do NOT like open source based VoIP when used by potential competitors BUT they themselves use the same technology to lower their origination and termination costs which they don't pass to the consumer. The project management teams is more interested in this one. The costs obviously includes all of the above labor , security installations , transport , meals , air time etc. Nothing is new here. But of importance to note are the monthly recurring costs that should be built into the budget when this is planned. - Connectivity - if the VSAT is used then there is a monthly service fee that gos with use of the service. This depends on the amount of traffic that traverses the network. ·Telephony - calls made between similar systems on the IP network are free not really free since they connectivity portion takes care of it. Ok let me break it down to simpler terms. If a system community communications is deployed in Jambezi , Gokwe m Wedza , Guruve and Madlambuzi for argument's sake , calls made between these centers are technically FREE. And now calls made to other networks like Econet . NetOne or Telone are charged at whatever costs the service providers would have agreed to charge RURAL originated calls. ·Electricity – FREE. Not really the recurring costs here will be for the service technician to do rounds making sure batteries are charging ok. But there is nothing to fix on the panels. Sunrays do not break of get damaged ! ·Wages – naturally there would be at least 2 people manning the center .One to assist years and the other for security purposes. The ifs and how's have to be worked out by the ICT in liason with the community – that's out of my scope. It would be very essential to look at the return of investment for such a project from a developmental point of view and not a monetary one. The extent to which this digital initiative will enhance and improve people's lives , has no monetary value that can be attached to it – literally. With say 100 public users of the communications center that include teachers , A2 farmers , policeman , nurses , local government and villagers etc. a fee of $ 7/person/month could recoup a big chunk of the running costs after the first year when usage is high and appreciated. The funds are available , according to POTRAZ , so it makes sense that for the first 12 months . running costs are built into the budget in advance. AND when local people appreciate the strength and power of ICT they won't hesitate to pay some $ 7 per month to access phone , email and internet services ! Considering that the most challenging part of such an huge project – funding is presumably available under control , according to POTRAZ and the Ministry of ICT , what remains is precise project planning to match bring the right technology at a reasonable cost to the targeted population. ex Students associations can help fund connecting schools. Sobukhazi High School will be online very soon through an old students association initiative. Be the change that you want to see and stop blaming x ,. y and x for things that you can do. This entails doing some pilot runs at a small scale for proof of concept. Since the ultimate plan is to mass deploy these community communications centers , it makes logical sense to solidly conduct thorough pilot runs before committing millions to buying equipment for mass deployment. I posted this document from a local college that implements Solar Powered Wireless Access – walking the talk. "Connect a school. a community. Connect a community develop a nation."